Manchester United legend Gary Neville insists Arsenal and Chelsea have a completely different model, making it extremely difficult to compare their managerial decisions and he believes there would be a dramatic collapse if the Gunners sack Arsene Wenger this summer. Chelsea scrapped Jose Mourinho last season, only seven months after he lifted his third Premier League trophy at Stamford Bridge. However, sice appointing Antonio Conte, the Blues have grown in strength following last season’s 10th-place finish. And Arsenal fans are now divided over the future of Wenger after the Frenchman admitted he may not be in the Emirates dugout after this season. 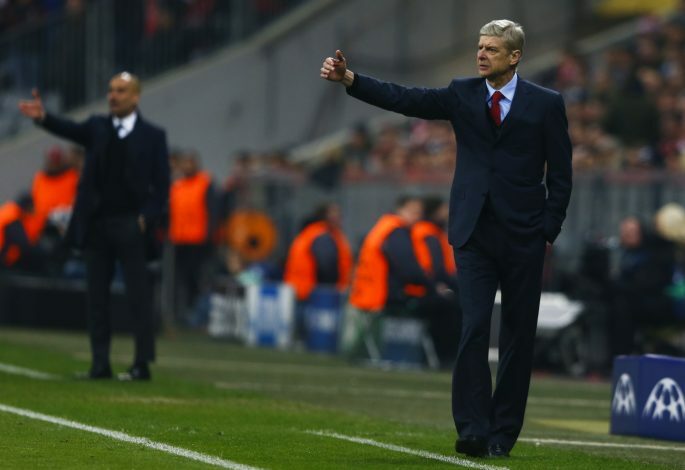 Juventus manager Max Allegri and Borussia Dortmund’s Thomas Tuchel are among the favourites to replace Wenger. But following a similar approach like Chelsea hasn’t been Arsenal’s philosophy and also it’s against their tradition, Neville believes. When asked about Conte coming in for Mourinho at Stamford Bridge, the former Manchester United captain didn’t go into any comparison, rather warned the Gunners fans they should be careful what they wish for with Wenger. Neville told ArsenalFanTV: “Do I think Chelsea are Arsenal? No. Neville further said he respects Arsenal for sticking with Arsene Wenger. After Sir Alex Ferguson’s departure at Manchester United, David Moyes and Louis van Gaal both had short stints in charge as the Red Devils failed to adapt on the whole. Neville believes same could happen with Arsenal if the sack Wenger. The loyalty is something he feels Arsenal must hold onto. The Man United legend continued: “What Arsenal have got and still to this day and please you should never ever underestimate the power of this, because we’ve lost it at United a little bit in the last few years – stability, support, loyalty, being a club that gives managers opportunities beyond 12 months, sticks by people, thinks for the long-term. “All those qualities that I loved Manchester United for.